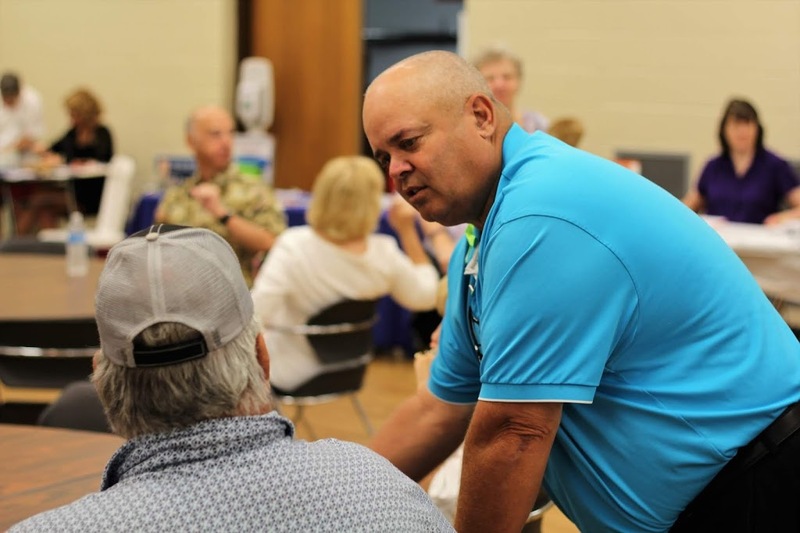 Rep. Dan Swanson hosted a Veterans’ & Senior Resource Fair on Thursday in Princeton to provide local Veterans’ and Seniors an opportunity to interact face-to-face with state and local agencies available to assist them. The Bureau County event was the fourth in a series of four events Rep. Swanson hosted this week throughout the 74th Legislative District. Monday’s event was in Geneseo, Tuesday’s was in Aledo and Wednesday’s in Knoxville. Bureau County’s event was hosted at the Bureau County Metro Center at 837 Park Avenue West in Princeton. Dozens of attendees joined dozens of exhibitors representing state, local, and community agencies in providing information to Veterans and seniors in attendance. A free lunch of Monical’s Pizza was hosted by Rep. Swanson at the Princeton event. Bottled Water was donated by Sullivan’s Foods.